Cleaning your oven isn’t the most exciting chore you have to do. Part of the problem is usually the smell that the cleaning process creates. These chemicals can also be dangerous to you and your children. 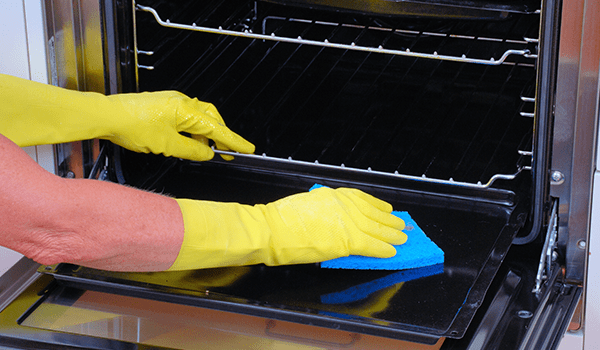 Luckily, there are more than a few different natural oven cleaning hacks that you can use instead. Let’s find out how to clean oven without chemicals! Before you try any of these natural oven cleaner recipes, be sure to empty your oven. Take out the racks or anything else you might have stored inside. Then you can get to work! Keep in mind that you should keep the mixtures off of the heating elements in your oven. Our first oven cleaning hacks is basically creating a steam bath. Start by removing loose crumbs from the oven. Then, fill a metal dish with water and a ½ cup of vinegar and place it in the oven. Turn the oven on to 350 degrees. This will cause the water and vinegar mixture to bubble up or steam. After a few minutes, you can turn the oven off. 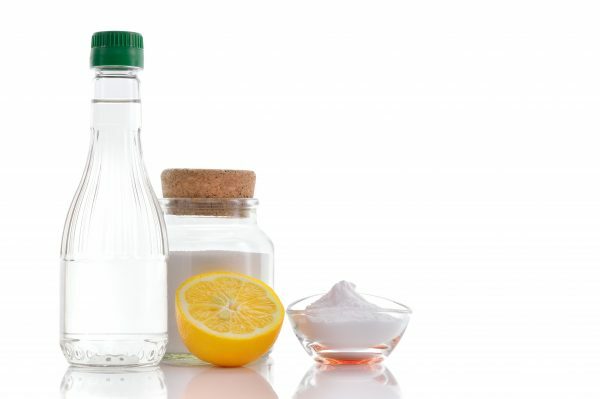 Use a spray bottle to apply a vinegar and water mixture. Let this set for about half an hour. Finally, wipe this clean with water. To begin, combine a ½ cup of baking soda with a splash of water. Mix them together to create a paste. One the mixture becomes a paste, spread it on every surface in your oven. The main focus isn’t on keeping this process neat and tidy. Just try to get every single spot covered. Then, let the baking soda set overnight. When you’re ready, use a damp cloth to remove the baking soda paste. Next, you’ll need to add some vinegar to a spray bottle. You can then spray this over the entire interior of your oven until it begins to foam. Finally, you can rinse the mixture away with a damp cloth. You might choose to add more vinegar for this oven cleaning hack. If you only need to clean your oven’s grates, this is super helpful! You can simply let your grates soak in the bathtub overnight. Be sure to start this with hot water. You can add dish soap or a natural cleaning product for better results. Then, you can take them out to scrub and dry them. In addition to using these strategies to keep your oven clean, you can follow the tips listed below. Keep your oven clean: As soon as something spills in your oven, you should clean it up. The reason that so much gunk hangs around is because you are using your oven and cooking the debris onto your oven. It can be tricky to get in the habit, but it’s worth it to have a tidy oven! Try not to use oven cleaning modes: As you might know, your oven’s self-cleaning option smells terrible. This is because the process, which is called pyrolytic cleaning, is known to cause smoke. This is also why it leaves such a bad smell. Use preventative measures: It’s inevitable that some dishes are going to spill over in the oven. To keep your oven as clean as possible, place a tray or some foil beneath the dish. Then the food won’t get stuck to the oven. You can now breathe a sigh of relief knowing that you don’t have to worry about chemicals getting into your food and home. Using a natural oven cleaner is a small way to create a safer place to live and to raise your family. Which one of these are you going to try first? Oven having more than just cleaning issues? Contact a professional appliance repair company, like A+ Appliance Repair Service. Is it Safe to Self Clean an Oven? Most Common Oven Repairs & How to Avoid Them this Fall!